Step 1: measure your window. Make sure to order window treatment that is wider and taller than your window, i.e. make sure the window treatment can fully cover your window. You can size up as big as the wall space allows. 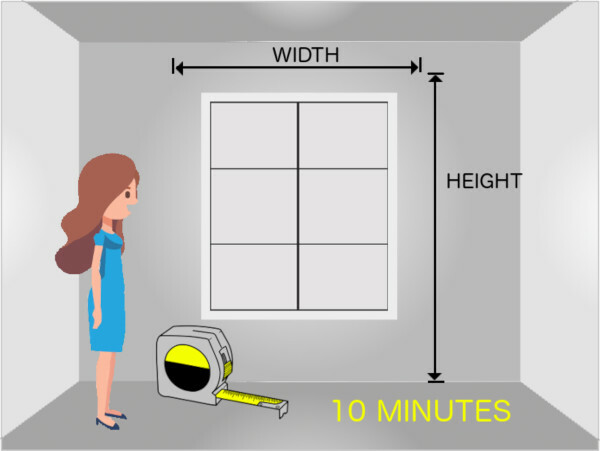 For different window types, please refer to measuring guide. Step 2: design and order online. Choose your favorite style & fabric and the price will change instantly online with your choice. 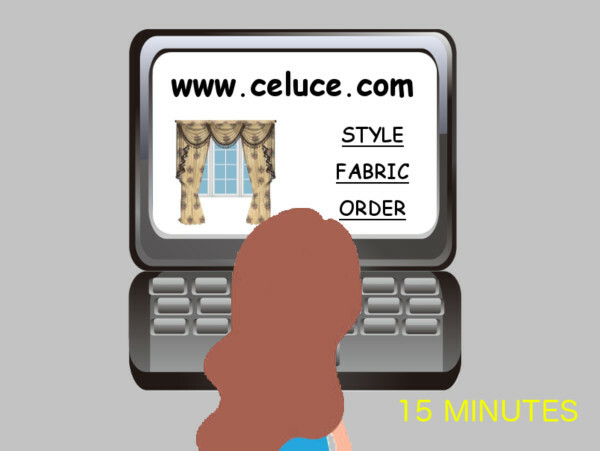 Check out any time and allow 2-4 weeks from the time of ordering to delivery. Step 3: installation. 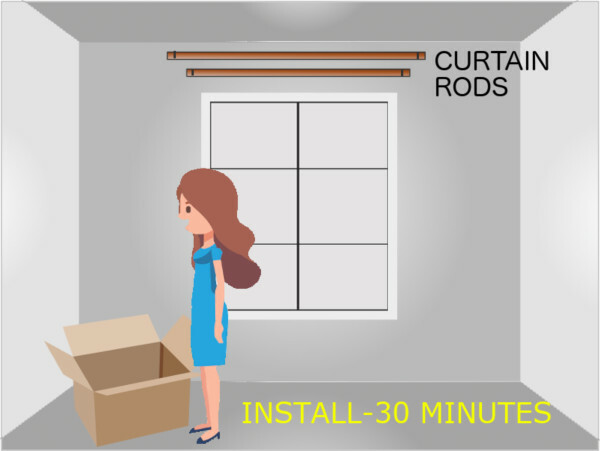 Easy install with regular curtain rods. We recommend using two curain rods: one for curtain panels and one for valance. You can get the curtain rods from Overstock, Amazon, Bed Bath and Beyond, Home Depot, Lowe’s, etc. We recommend using any rod that is 3/4” - 1 1/4” in diameter. Step 4: enjoy the look. A normal-size full set usually costs $500-$900.